The limited removal of metabolic waste products in dialyzed kidney patients leads to high morbidity and mortality. 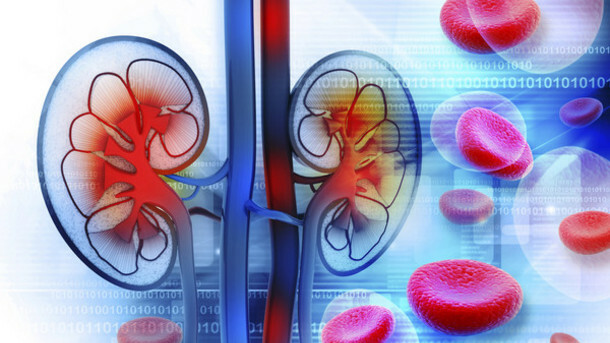 A bioartificial kidney could replace the need for dialysis or transplantation in the millions of patients with kidney failure. A key requirement for such a device is the formation of a ‘living membrane’, consisting of a tight kidney cell layer on artificial membrane surfaces, that can transport molecules from one side to the other. However, to date, no research team has achieved this feat. Now, a study from researchers led by the University of Twente develops an artificial membrane using conditionally immortalized human renal proximal tubular epithelial cells on a polyethersulfone-based hollow fiber membranes. The team state that they demonstrate the cell monolayer is indeed functional as a ‘living membrane’. The study is published in the European Journal of Pharmacology. Previous studies show that a bioartificial kidney device contains a hybrid living membrane with functional proximal tubule epithelial cells. These cells are supported by an artificial functionalized hollow fiber membrane (HFM) and are able to actively remove the waste products. Earlier studies from the lab conditionally immortalized human renal proximal tubular epithelial cells (ciPTECs) to express a functional organic cationic transporter 2 when seeded on small size flat or hollow fiber polyethersulfone membranes. The current study develops an upscaled living membrane. The current study develops a living membrane consisting of a reproducible ciPTEC monolayer on hollow fiber membranes, an important step towards the development of a bioartificial kidney device. The researchers developed and assessed the functionality of modules containing three commercially available MicroPES HFM supporting ciPTEC. HFMs were mounted in modules and coated with L-Dopa and Collagen IV. The culture of ciPTECs with organic cationic transporter 2 (OCT2) was performed under static conditions. Results show that the upscaling of the L-Dopa/CIV coating and seeding of the ciPTECs on the membranes was successful. Data findings show that after one week of culture, reproducible cell monolayers were formed within modules containing 3 HFMs and surface area of 4 cm2. The group state that tight monolayer ciPTECs culture was achieved with limited inulin leakage when compared to modules without cells. They conclude that 4-(4-(dimethylamino)styryl)-N-methylpyridinium iodide (ASP+), a fluorescent OCT2 substrate, uptake by the cells was reduced by 60% in presence of uremic toxin mix or cimetidine, confirming the functional cell monolayer. The team surmise that their study presents a successful upscaling of a living membrane with active organic cation transport as a support for bioartificial kidney device. They go on to add that the strategies and methods of their work could be relevant to the development of other bioartificial organs, such as a bioartifiicial liver or bioartificial pancreas, and organs on chips, such as a kidney on chip, a lung on chip, or a liver on chip. For the future, the researchers state that the goal is to improve dialysis techniques, possibly leading to the development of a portable kidney, or even an implantable artificial kidney.